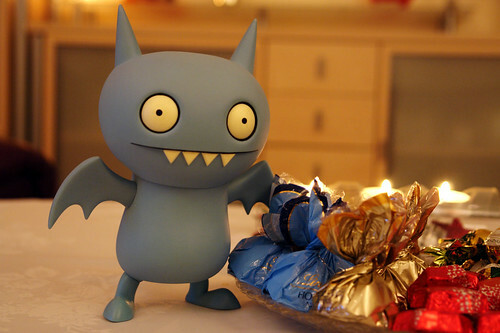 Uglyworld #270 - Lindt Fioretto Choccies For Ice-Bat, originally uploaded by www.bazpics.com. Next up to find the plate of chocolates was Ice-Bat who decided that the Nougat style ones which Tray chose were only for girls and opted for some Lindt Fioretto which has a waffel centre and then loads of crispy chocolate around it. Ice-Bat was sneaky enough to take them all before the others arrived and had to make do with the others which were left.